Hi guys and it’s finally here, the Céline Soft Cube bag review I’ve been promising for the last couple of weeks (months?). I purchased this bag through my favorite secondhand bag retailer, Fashionphile, using mostly credit from a bag I sold to them (read about how that all works here). And I’m so thrilled that I was able to “trade-in” my rarely used Valentino glam lock bag for this Céline soft cube bag that I’ve been using almost daily since I got it! I had my eye on this bag for awhile now but I couldn’t justify purchasing it since I also purchased my Celine Nano Belt Bag (reviewed here) this year. But I love my Soft Cube bag and it has quickly become a workhorse in my closet. The bag measures 8.66 x 9.45 x 4.33 " so it’s not quite a cube, but of course it’s better this way (a real cube would be so awkward to carry lol). The shoulder strap is about a 21” drop and sadly it’s not adjustable. The inside has a flat pocket with two slots that are pretty small. They can hold credit cards/business cards and sometimes I stash receipts in them but I can’t fit my iPhoneX in it. I also sometimes but my keys in the pocket though it stretches it out. Inside the bag feels pretty big and can easily fit my essentials (wallet, keys, phones, sunglasses) along with my reusable bags and other odds and ends. Because it’s just one large compartment, things sometimes do get lost on the bottom and it can feel like a bottomless pit. Luckily, the bag is small enough so that you’re not searching endlessly for stuff. I’m not particularly careful with my bags and I find that the leather is quite durable. No scratches or marks on it. It’s more durable than the smooth leather of my Sangle or the Trio I had before that. Also on a new Soft Cube bag, the handles tend to stand up but with wear I’ve noticed that they fall to the sides when wearing the bag crossbody (which I prefer). 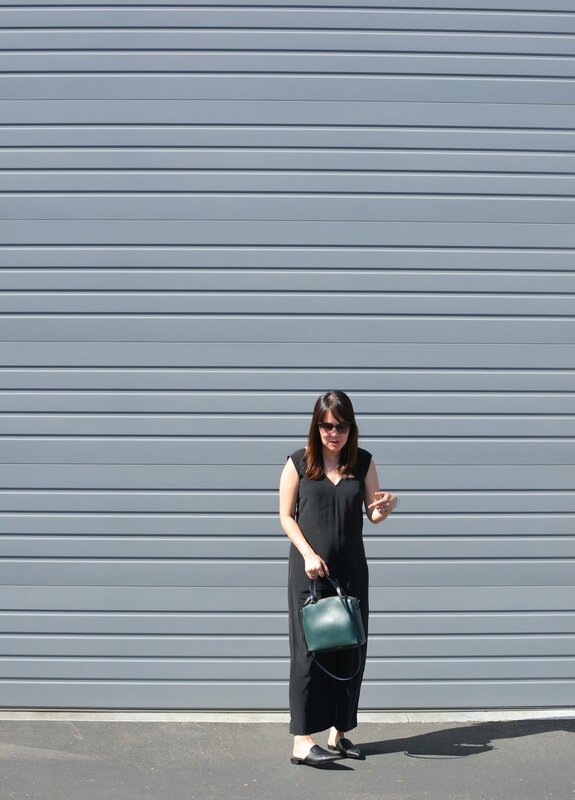 Overall, I feel like this is a great simple, no-fuss bag from (old) Céline (read all about my ode to them here). If you’re looking for a classic daily bag that can fit all your essentials and then some, I highly recommend looking into getting this bag! I’m not sure how much longer Celine stores will be carrying the old stuff, but you can sometimes find the Soft Cube bag on Fashionphile here or on The RealReal here.